Sidhant and Nanoushka hosted this meetup to perfection by identifying a venue and the time to kick-start India’s first Bitcoin meetup. Sunny and I found our way to a brightly lit Barista where our fellow enthusiasts awaited. We hypothesised and reminded facts and reeducated each other for a good 3 hours. Four Bitcoin & Technology enthusiasts, we spoke about various topics surrounding Bitcoin, Gold, Silver, Libertarians, Favourable markets, Entrepreneurship, and ways to establish Bitcoin in India. We spoke about Freetown Christiania in brief and it got me wondering about Bitcoin in Christiania. As Christiania has been well documented, I will attempt to summarize with links relating to the site with content. The perfect society that we all dream about exists in the Danish capital of Copenhagen. Amidst a row of controversy during its creation in a military zone in 1971, Christiana has withstood the sands of time and still stands strong. The people of Christiania abide by rules set by them. They operate with a simple principle that each individual must bring value to the community and maintain responsibility to develop their own area. Non compliance to the same leads to eviction. With the Freetown operating in a transparent democracy, not too many evictions have been recorded through history albeit a few. While it’s dark market of cannabis trade, keeps its currency valuable, it has been under recent criticism. Posted under the list of attractions in Copenhagen, the media kit provides an insightful glimpse into the heart of Christiania. With over half a million visitors a year to this self proclaimed town, Christiania pays for water and energy and strengthens its economy with small businesses such as coffee shops and manufacturing daily stock. With an approximate population of 1,000 people, Christiania residents own 132 cars out of which just 14 can be parked inside the city. 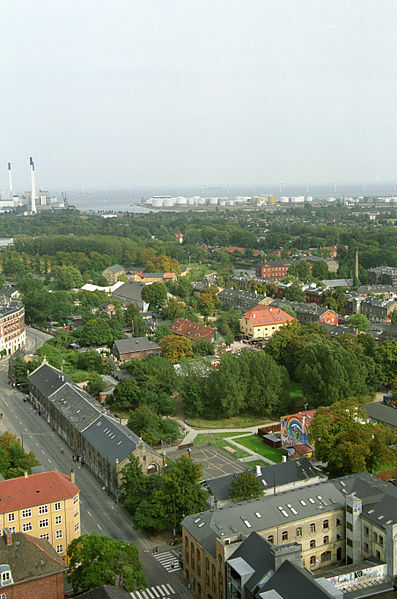 Christiania operates at an efficiency that allowed their society to spend 76.5m Danish Krona (circa US$ 13.2m) to purchase the whole area where they had squatted for 40 years. Unable to obtain any specific information regarding Bitcoin’s usage in Christiania, I am hoping to engage any readers to include any information on the same. Hypothesising a perfect society with a perfect currency is never going to be simple. Bitcoin probably weighs its significance in Lon (Christiania Currency), in Christiania’s beautiful society already. With a need to maintain a currency of benefit to engage in international and domestic trade, Bitcoin’s introduction to Christiania could enable this free and self-governed society to maintain a stronger economy through easy international trade. This is the perfect launch pad for a Bitcoin based society. We need to consider the benefits of a social experiment in each country around the world. Consider a Freetown in every country that allows its members or citizens to build an economy. Consider a Freetown of thinkers, speakers, architects, engineers, 4 doctors and no lawyers. Consider a world where your voice can actually be heard. Image from Bruno Jargot: http://errance.lirano.net/ Taken in September 2003.